Ceramides: Help replace lipid levels in damaged skin to repair, restore and maintain the skin's natural barrier. Essential in preventing water loss from the skin. 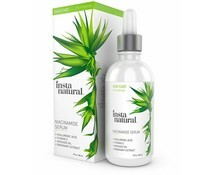 Niacinamide: Helps the skin produce more natural ceramides and fatty acids essential for repairing and restoring the skin barrier. May reduce skin redness. Patented, controlled-release MVE technology: Works by trapping ingredients within multi-layered skin vesicles that are slowly release, layer by layer throughout the night. CeraVe PM Facial Moisturizing Lotion helps repair damaged skin and maintain the skin's natural protective function with ingredients not commonly found in other moisturizers. Its patented Multivesicular Emulsion (MVE) formulation releases these ingredients over time. penetrating deep into the skin to hydrate and nourish throughout the night. 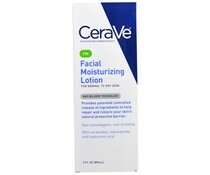 Try our full line of cleansers and moisturizers for a complete skin care routine. 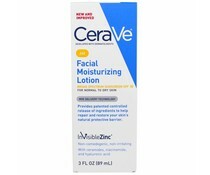 Step 2: Apply CeraVe PM Facial Moisturizing Lotion liberally to face and neck before bed. Purified water, glycerin, caprylic/capric triglycerides, niacinamide, behentrimonium methosulfate and cetearyl alcohol, ceteareth-20, cetearyl alcohol, ceramide 3, ceramide 6-11, ceramide 1, phytosphingosine, hyaluronic acid, cholesterol, dimethicone, polyglyceryl-3 diisostearate, potassium phosphate, dipotassium phosphate, sodium lauroyl lactylate, disodium EDTA, methylparaben, propylparaben, carbomer, xanthan gum.